Just a couple of things to share today. First is this cute card. I met Nikki Sivils at CHA. She's a new manufacturer and is as cute as her products. I love this tree! Next up is this card I did for Emma's. I used some new Webster's paper on it. The glitter paper is from Best Creations. It's the coolest stuff! You can punch it to make accents, use it as a background, make borders, etc. Cindy has tons of colors and they are all so vibrant! The best part? The glitter is on there like white on rice! That stuff does NOT fall off!! I made the flowers with vellum and the glitter cardstock. The chipboard is Basic Grey. Well, that's it for now. Thanks so much for stopping by and for your kind comments! 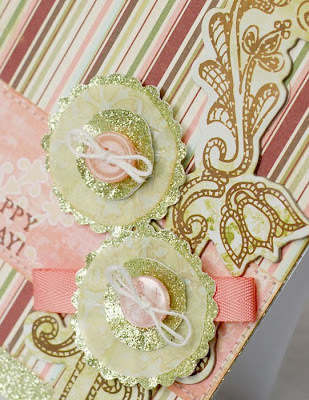 Love the layered flower button. Beautiful cards Anabelle! Love those vellum flowers. Gorgeous! Beautiful! Wow! You make me want to find some of that glitter paper! LOVE It! Gorgeous, gorgeous! 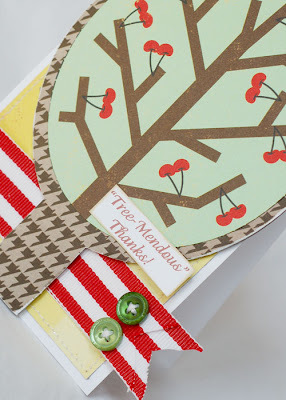 I LOVE that adorable cherry tree! wow, such great glittered circles! 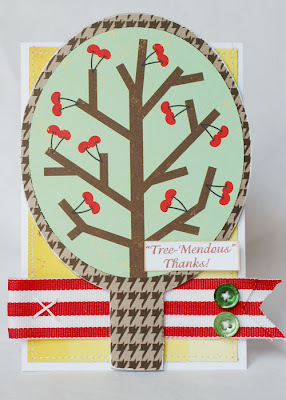 I love the clever tree mendous sentiment! so so cute! 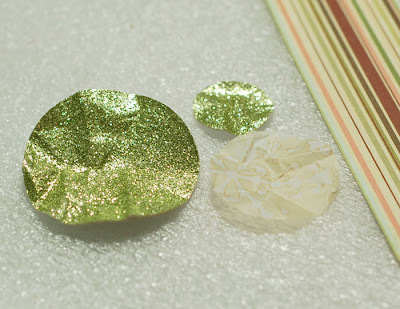 I too discovered the Best Creations glitter cardstock, isn't it FAB? Very pretty cards! Annabelle, those flowers are gorgeous! I was so glad to meet you at CHA! The most fun was actually meeting some of my "scrap idols" like you!!!! That birthday card is gorgeous!! 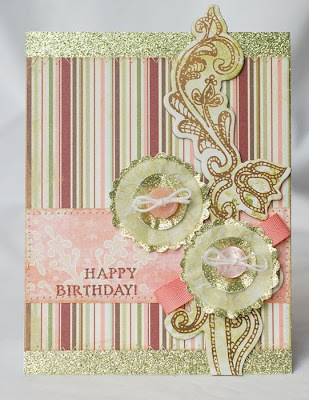 Gorgeous cards--that glitter paper is divine! And those layered flowers you made with it are stunning! Fantastic cards, Anabelle! Now I've got the urge to pull out my glitter and glitter paper! How did I miss this???? Great cards!! I love your work!! Can I use this card on my blog? ?